As a public service, each year the Legislative Research Commission holds two continuing legal education (CLE) seminars in June. 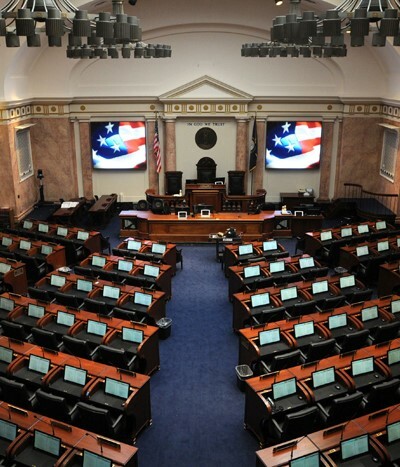 The CLEs provide attorneys opportunities, at no cost, to meet their annual Kentucky Bar Association requirement of 12 credit hours, including the required two hours of ethics credits. The 2019 CLEs will be held on June 5th and 26th in the House of Representatives Chamber. If you are interested in attending, please log in below. First visit? Click here to create an account and start registering for classes.